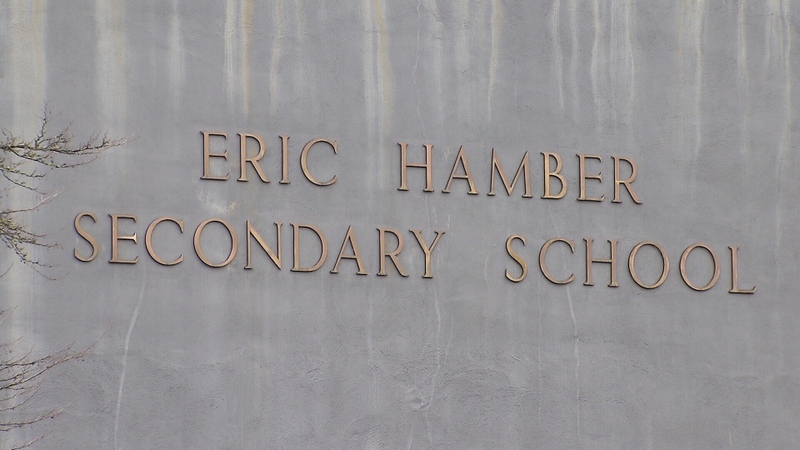 A group of seniors from Eric Hamber Secondary School have been disciplined after a list of names and offensive terms was allegedly circulated online. Officials haven't confirmed the contents of the list, but students told CTV News it contained 100 names and was marked with homophobic slurs and other derogatory terms. The teenagers said three Grade 12 students have been suspended as a result of the list, which was said to have been shared as a Google document that's not accessible by the public. 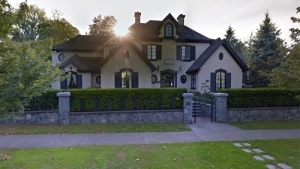 The Vancouver School Board hasn’t specified what disciplinary actions have been taken, if any, but said it has launched an investigation into what happened. Officials said administrators first learned about a "serious breach" of Eric Hamber's code of conduct on Tuesday, and that parents were alerted through a letter from the principal. "A list of members of the school community, containing inappropriate content, was circulated," the board told CTV News in an email. "As the matter is further assessed, appropriate disciplinary actions will be taken in addition to ensuring students and staff receive the supports they need." Public schools across the city are committed to a "safe, inclusive, equitable and welcoming learning and working environment,” the VSB added. Sophie Klassen, a student who said she was named on the list, told CTV News the contents don’t reflect the attitudes at Eric Hamber. The day after it was shared, she and other students responded by hanging up rainbow Pride flags in the hallways. "Hamber is not a bullying community," Klassen said. "I personally believe that it is one of the best schools in Vancouver." Klassen said she isn't friends with the people who created the list, but she's not upset at them for including her name. "I'm sorry that this had to happen, but I really think this is a good educational experience for people," she added. "There's a lot of positivity that can come out of it." But the head of UBC's Stigma and Resilience Among Vulnerable Youth Centre said these kinds of incidents can also have very negative consequences for those affected and beyond. "Hearing or even just overhearing these kinds of homophobic slurs can actually influence people's sense of safety in school and their sense of belonging so they are not necessarily benign," Elizabeth Saewyc said, adding that cyberbullying is especially dangerous because it can happen anonymously. "For someone who is already feeling bullied or rejected or seminally isolated from school having these kinds of things circulating can definitely make it worse for them." Another student at Hamber told CTV News the list didn’t have any slurs on it when it was first created, but someone added them on later. The people who made the list are “not mean guys,” he said. Officials have asked any parent whose child might have information pertinent to the investigation to reach out to the school directly. Eric Hamber Secondary School is seen on Fri., March 8, 2019.